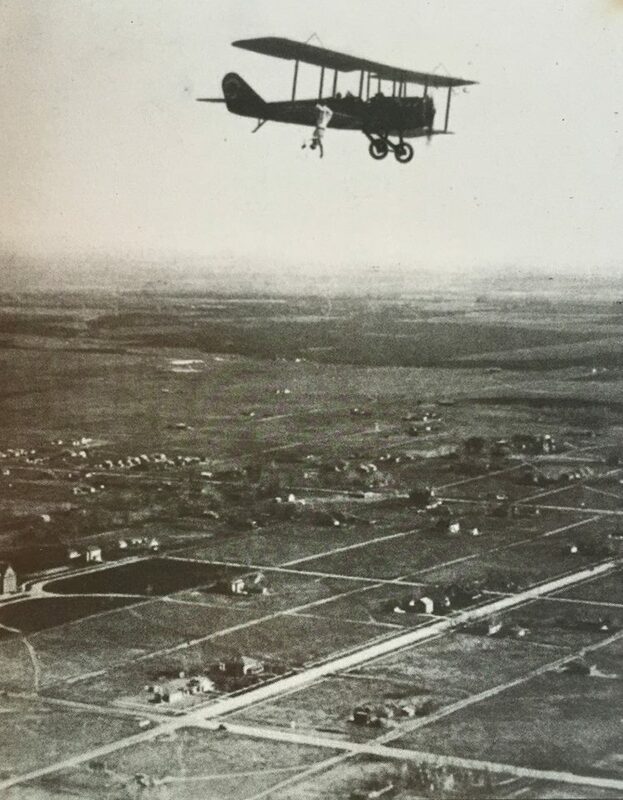 1920-1930s: Photograph of a stuntman hanging on to the wing of a biplane, as it soars over the Montclair and Park Hill neighborhoods. The street that cuts left to right (near the middle of the photo) is Colfax Avenue. The campus of the Colorado Women's College (now Johnson & Wales University), can be seen at the far left.